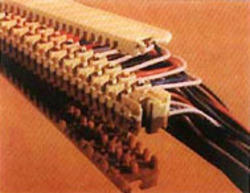 A Modular Connector is an electrical connector that was originally designed for use in telephone wiring, but has since been used for many other purposes. Probably the most well known applications of modular connectors are for telephone jacks and for Ethernet jacks, both of which are nearly always modular connectors. - This type of cable is used in structured cabling for computer networks such as Ethernet. - This cable is commonly connected using punch-down blocks and modular connectors. 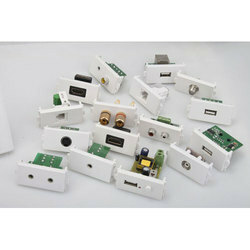 Due to our immense capability in this work domain, we have brought forth a huge variety of Modular Connector.